The footballer and coach Cesare Maldini, who won four Serie A titles and an historic European Cup as a centre half with AC Milan and later coached the club with success in domestic and European football, was born on this day in 1932 in Trieste. When, under Maldini’s captaincy, Milan beat Benfica 2–1 at Wembley Stadium in London in May 1963, they became the first Italian club to win the European Cup and Maldini the first Italian captain to lift the trophy. Maldini’s international career included an 18-month spell as coach of the Italy national team, during which the Azzurri reached the quarter-finals of the 1998 World Cup. 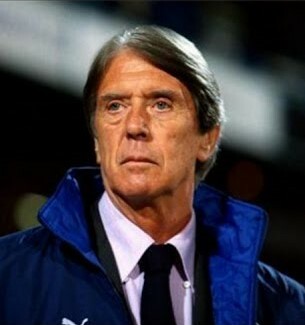 He had earlier won three consecutive European championships as coach of the Italy Under-21s. He is the father of Paolo Maldini, the former AC Milan defender whose record-breaking career spanned 25 years and included no fewer than five winner’s medals from the European Cup and its successor, the Champions League. 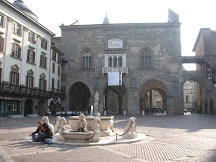 Cesare’s grandson, Christian - Paolo’s son - is also a professional player for Pro Piacenza in Serie C.
As a child, Cesare Maldini was largely brought up by his mother, Maria. 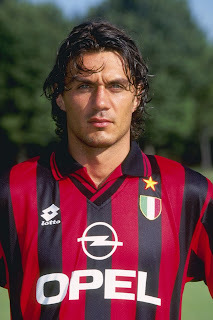 His father, Albino Maldini, who originated from Padua, was a merchant seaman who was often at sea for long periods. The family also owned a small bakery. Maldini trained for a career as a dental technician but by the age of 20 had made his debut for his home town club, Triestina, then in Serie A. The next season he was appointed the team’s captain. After two seasons with Triestina, Maldini joined AC Milan, making his debut in September 1954 against his former team, coincidentally. 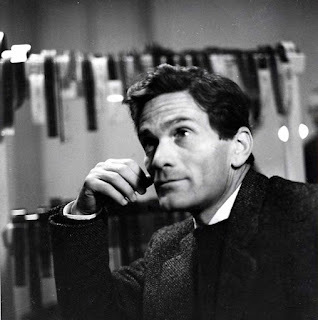 A strong Milan team that included included the great Swedish forwards Nils Liedholm and Gunnar Nordahl, and the Uruguay-born playmaker Juan Alberto Schiaffino, won 4-0. Maldini was unawed by playing in such company and soon became a regular starter, winning his first league title in his debut season. He went on to make more than 400 appearances for the club in all competitions, keeping the captain’s armband for five years after being appointed in 1961. 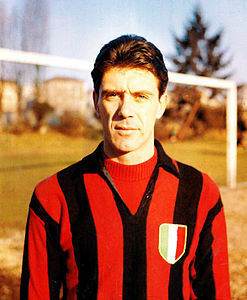 He was succeeded in the role by another rossoneri great, Gianni Rivera. Milan won the European Cup under the coaching of Nereo Rocco, who also hailed from Trieste and formed a strong bond with Maldini. When Rocco left to take charge of Torino in 1966, he took his trusted centre half with him, ending Maldini’s 12-year association with Milan. 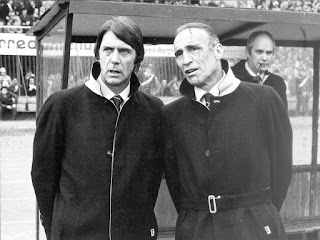 After only season in Turin, however, the pair returned to San Siro, Rocco resuming as coach with Maldini his assistant. In tandem, they won the European Cup again in 1967, defeating Johann Cruyff and his Ajax teammates in the final. For a while, Maldini was head coach, with Rocco as technical director, and he won the European Cup-Winners’ Cup and the Coppa Italia in the 1972-73 season. Yet he was still sacked the following season after Milan failed to mount a credible challenge for the Championship. Maldini went on to coach Foggia, Ternana and then Parma, where he discovered Carlo Ancelotti and won promotion to Serie B, before graduating to international football as assistant to Enzo Bearzot on the Azzurri coaching staff. Two years later, the were in the technical area as Italy won the 1982 World Cup in Spain. It was as coach of the Italy Under-21s that Maldini found his métier. In his 10 years in that job, as well as steering the Azzurrini to three consecutive European titles in 1992, 1994 and 1996, he brought through countless future stars, including Fabio Cannavaro, Christian Panucci, Filippo Inzaghi, Christian Vieri, Gianluigi Buffon and Francesco Totti. He took over as coach of the senior side when Arrigo Sacchi resigned midway through the 1996-97 season. It was an achievement to qualify for the 1998 World Cup given the difficult situation Maldini inherited, yet after clinching their place at the finals in France via a play-off, Maldini’s Azzurri exceeded expectations by reaching the last eight. They remained unbeaten, in fact, going out in a penalty shoot-out to the hosts and eventual champions, France, after a goalless draw in Saint-Denis. Despite this creditable performance, Maldini was heavily criticised in the Italian media for being too defensive in his outlook, commentators complaining about the omission of the brilliantly talented Gianfranco Zola from his squad and his reluctance to have Roberto Baggio and Alessandro Del Piero, two creative players he did take, on the field at the same time. As a result, Maldini resigned at the end of the tournament. After a brief return to the bench at AC Milan for the last few games of the 2000-01 season, he accepted the head coach position with the Paraguay national team for the 2002 World Cup, for which they had already qualified. At 70 he was at the time the oldest coach to be in charge of a national side at a World Cup tournament. Paraguay were good enough to reach the last 16, where they were unlucky to lose to a last-minute goal against Germany, who went on to reach the final. Maldini remained in football as a scout and then a TV pundit. He died in Milan in 2016, his funeral at the Basilica di Sant’Ambrogio attended by many former players. His widow, Marisa, passed away a few months later. 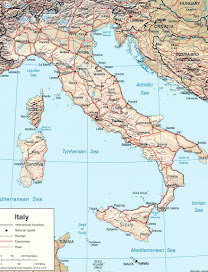 Maldini’s home city, the port of Trieste, capital of the Friuli-Venezia Giulia region, did not officially become part of the Italian Republic until 1954. It had been disputed territory for centuries and after it was granted to Italy in 1920, thousands of the resident Slovenians left. The final border with Yugoslavia was settled in 1975 with the Treaty of Osimo. 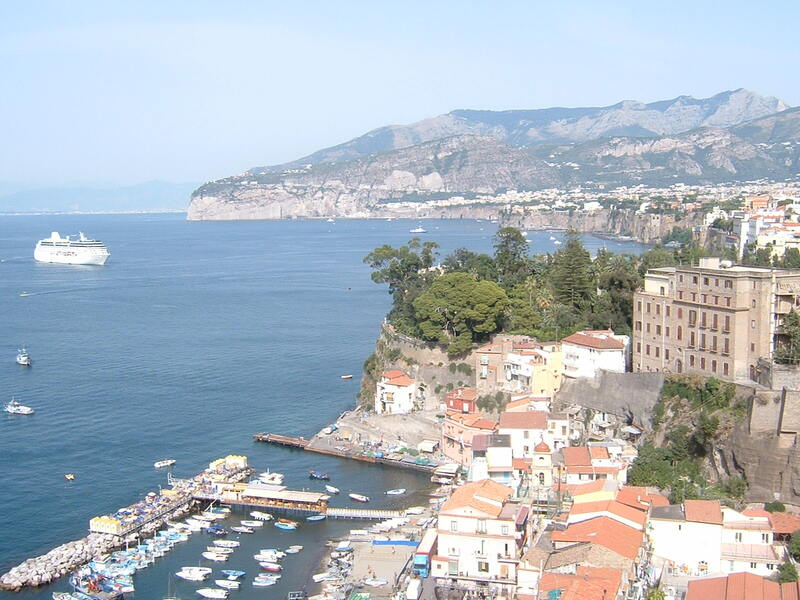 The area today is one of the most prosperous in Italy and Trieste is a lively, cosmopolitan city and a major centre for trade and ship building. It also has a coffee house culture dating back to the Hapsburg era. 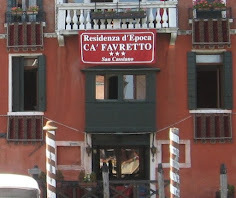 Caffè Tommaseo, in Piazza Nicolò Tommaseo, is the oldest coffee house in the city, dating back to 1830. 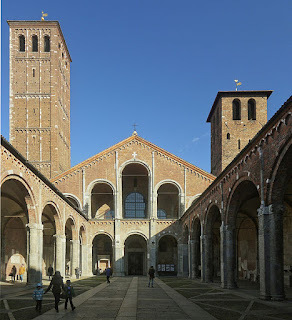 One of the most ancient churches in Milan, the Basilica di Sant’Ambrogio was built by Saint Ambrose himself between 379–386, while he was Bishop of Milan. One of several new churches he had constructed, it was built in an area where numerous martyrs of the Roman persecutions had been buried. 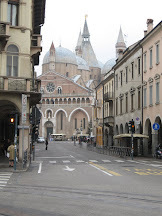 The first name of the church, in fact, was the Basilica Martyrum. It was only later that it was renamed in Saint Ambrose’s honour. 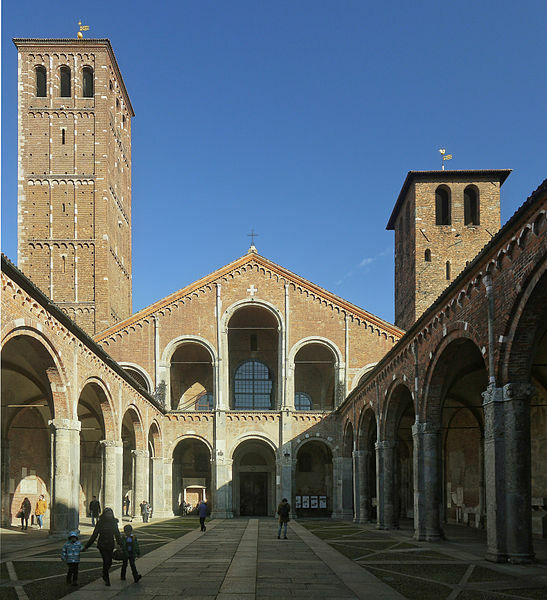 Initially, the basilica was outside the city of Milan, but over time the city grew up around it. In 789, a monastery was established within the grounds and for a while two separate religious communities shared the basilica. Its two towers symbolise this division.